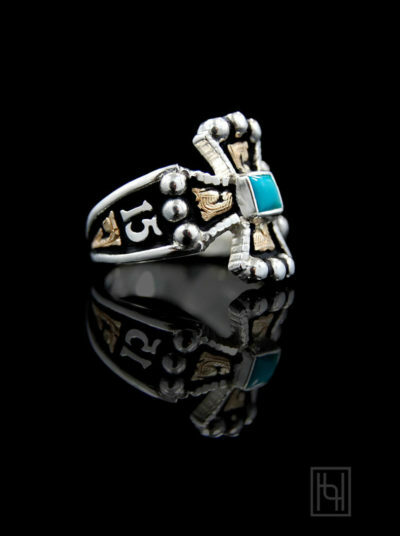 Colorful RimRock stones pop in this customer favorite, The RimRock Chopper Cross Ring! You’ll love this timeless style! Sterling Silver and/or 1/10th 10k Yellow Gold or Rose Gold with Genuine or Created 4 mm Cabochon Stones in a Bezel Setting.